Ellen DeGeneres, Johnny Depp, David Letterman, Sandra Bullock – and even Glenn Beck — are certainly popular. But they all pale in popularity compared to Oprah Winfrey and Clint Eastwood. 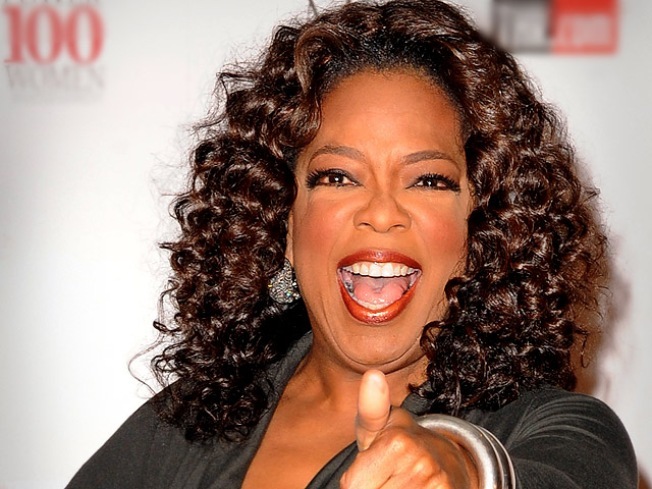 Oprah has been voted America's Favorite TV personality for 2009, with Eastwood voted America's Favorite Movie star, according to new polls conducted by Harris Interactive. Oprah, who announced she'd be ending "The Oprah Winfrey Show" in 2011, saw a boost in her popularity, up from her fourth place spot a year before on the TV list. Coming in second was controversial TV talker Glenn Beck, host of the FOX News politicalshow "The Glenn Beck Program." It was the first time Beck has cracked the Harris poll's top 10 since the organization began conducting the survey in 1993. Falling from the top spot on last year's TV poll was Jay Leno, who finished third in the new survey. However, the poll was conducted prior to Leno's recent drama with NBC. Meanwhile, Johnny Depp finished second to Eastwood (who was second last year) in the movie poll, with Denzel Washington (who was #1 the previous three years), Sandra Bullock and Tom Hanks rounding out film's fave five. Ellen DeGeneres and "House" star Hugh Laurie tied for fourth place on the list. The other stars making the TV top 10 included "Daily Show" host Jon Stewart (6th), "Two and a Half Men" star Charlie Sheen (7th), "NCIS" actor Mark Harmon (8th), "Late Show" host David Letterman (9th) and FOX News' Bill O'Reilly (10th). On the movie side, George Clooney, John Wayne, Meryl Streep, Morgan Freeman and Julia Roberts rounded out the back half of the top 10, respectively. Bullock, Clooney and Streep cracked this year's list, bumping Will Smith, Harrison Ford and Angelina Jolie out from 2008's top 10. All told on the TV poll, seven of the top 10 were talk show hosts, with only three series actors – Laurie, Sheen and Harmon – making the cut. Only Beck and O'Reilly were first-timers to the list, knocking off Stephen Colbert and Steve Carell from last year's list. Besides Oprah in the top spot, Ellen was the only other female star to make the list. For the movie stars, Roberts, Streep and Bullock represent the women, with the other seven spots occupied by male stars. Both the TV and movie surveys were conducted online between December 7 – 14, 2009.